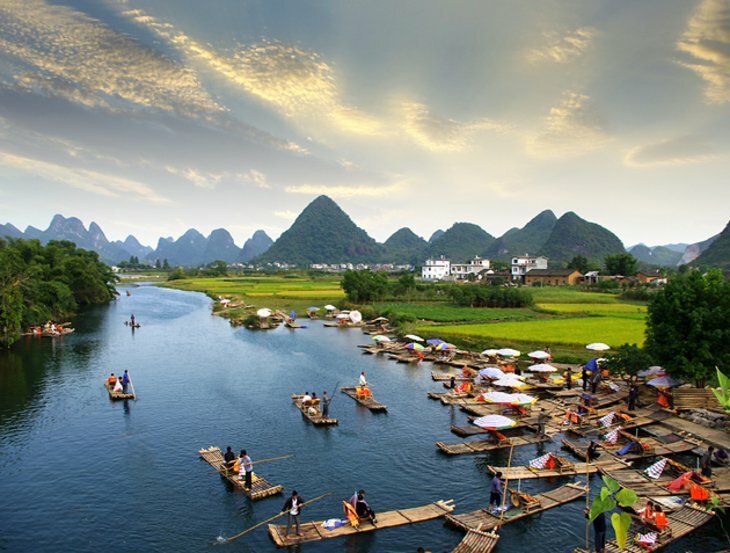 China, a large tourist country, boast numerous attractions, from historical sites, cultural sites to scenic sites. From the overwhelming Forbidden City and world-renowned Great Wall in Beijing, impressive Terracotta Warriors and Horses in Xian, the breathtaking Li River in Guilin, prosperous Bund in metropolitan Shanghai, majestic Yangtze River, to captivating water-town in Suzhou. “Nobody can be a true hero unless he has been on the Great Wall” goes the popular saying, one that clearly demonstrates the importance that the Chinese place upon this unique ancient monument. The magnificent Great Wall of China – known in Chinese as Changcheng, or the Long Wall – stretches more than 6,000 kilometers from the fortresses of Shanhaiguan in the east to Jiayuguan in the west, passing through Hebei, Tientsin, Beijing – where the best preserved section of the wall can be visited – Inner Mongolia, Ningxia, and Gansu along the way. Averaging six to eight meters in height but rising as high as 16 meters in places, and wide enough for cavalry to pass, the wall boasts numerous battlements and watchtowers, some dating back as far as the 7th century BC, with the best-known areas added around 210 BC when its various sections were joined. 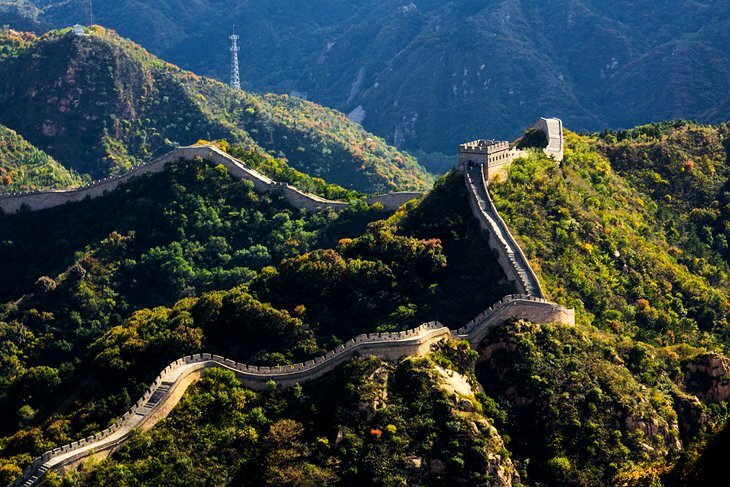 Today, the most visited section of the wall is near Badaling Pass northwest of Beijing, easily reached by public transport or organized tours. Other restored sections worth a visit include the section near Gubeikou, 130 kilometers from Beijing, and in Mutianyu, just 70 kilometers northeast of Beijing. Terracotta Army – one of the eight wonders in modern world, is a door for peole to get back to the Tang Dynasty. 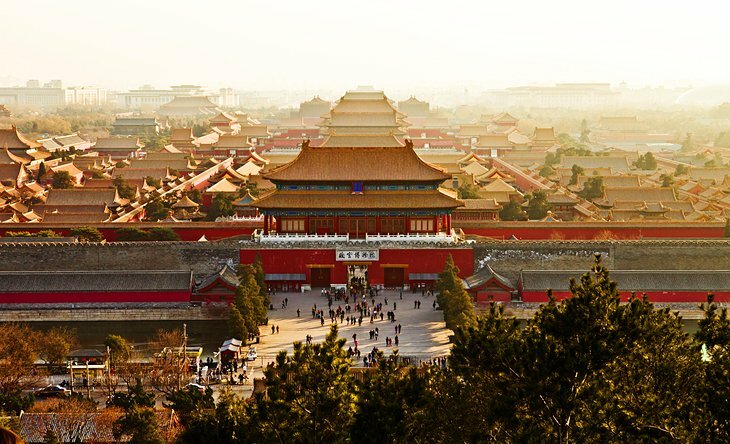 Xi’an was also the starting point of the Silk Road, an ancient trade route that extended from Asia to Europe and played an important role in economic and cultural exchange between the East and the West in ancient times. 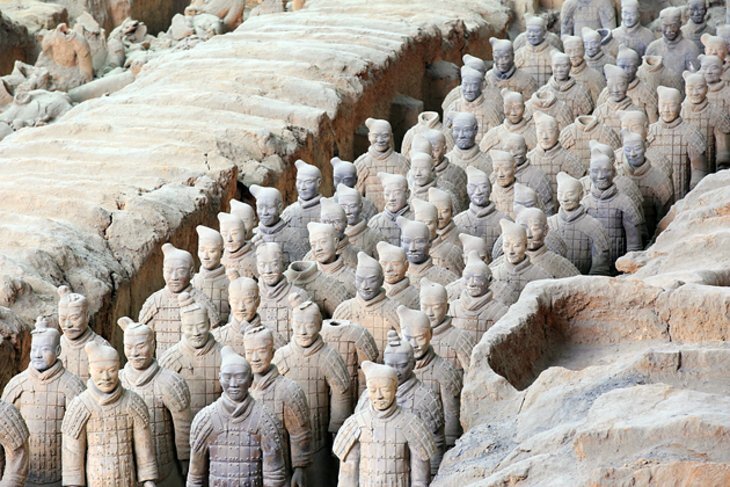 It was while digging wells on the outskirts of Xi’an in the 1970s that farmers stumbled across what was undoubtedly China’s most important archeological find: the Terracotta Army. Distributed over three large underground pits and built to guard the First Emperor’s tomb were more than 8,000 life-size warriors, some 520 horses, and more than 100 chariots, along with numerous other non-military characters dating from around 280 BC. Although some were severely damaged due to the passing of time, many of the statues unearthed have been painstakingly re-assembled and stand as testament to the importance bestowed upon the emperor and the afterlife. The site – part of the Emperor Qin Shi Huang’s Mausoleum Site Park – is one of China’s most important tourist destinations and offers the unforgettable experience of standing in front of this assembly of soldiers and horses as if inspecting a centuries-old parade. Unlike Beijing, there are not many famous tourist attractions in Shanghai. However, the beauty of visiting Shanghai lies not in scurrying from site to site but in the feel of the city’s modern atmosphere. A remarkable act of smart city planning and preservation can be seen in Shanghai’s splendid riverside promenade, the Zhongshan Lu or, as it’s perhaps better known, the Bund (Wàit?n). As you stroll this wide pedestrian zone along the Huangpu Jiang River, you’ll almost forget you’re bang-smack in the middle of China’s largest city (Shanghai’s population exceeds 25 million people). 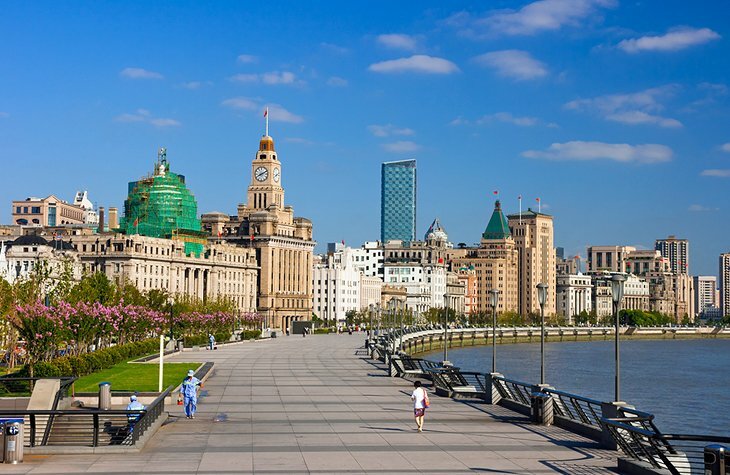 Famous for its European feel, a fact owed to the district’s past as the location of the city’s International Settlement, the Bund is popular for its 52 preserved English and French influenced buildings, many now restaurants, cafés, stores, and galleries. Representing a variety of influences from Gothic to Renaissance styles – including a number of Art Deco buildings – the architecture includes highlights such as the old harbor customs office with its bell tower and the majestic Peace Hotel. For the best views of the Bund, visit the 468-meter Oriental Pearl Tower on the opposite bank of the Huangpu Jiang River.